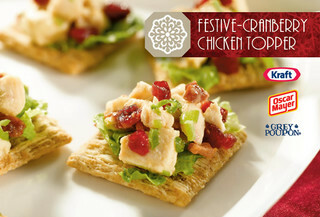 Here's a festive way to use leftover chicken! 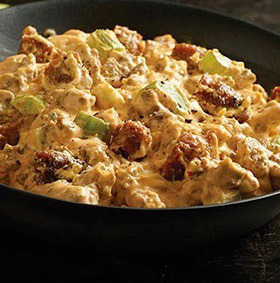 Try this savory mix of Jimmy Dean® Maple Pork Sausage, Granny Smith apples, and cheddar cheese to wow guests at your next dinner party. 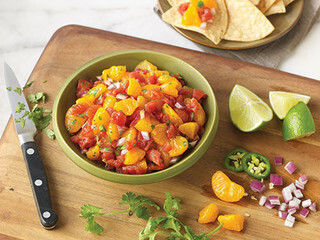 Enjoy the balance of sweet and spicy flavors in this vibrant salsa that is so easy to make. 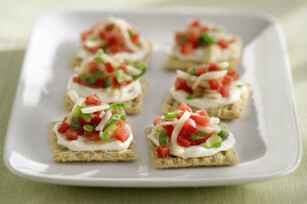 Serve as an appetizer or as a topping for quesadillas or grilled chicken, fish or pork. 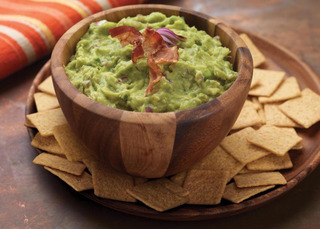 A great combination – bacon, avocado, and WHEAT THINS! 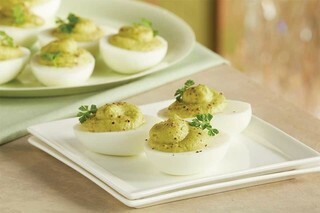 Serve the Spicy Deviled Eggs recipe in Chinet Classic White™. 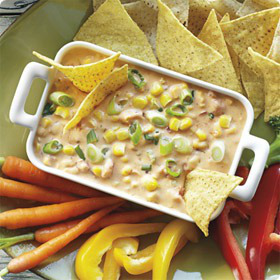 This five-ingredient hot cheese party dip combines the goodness of corn with tomatoes and chilies. 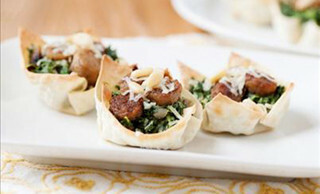 These delectable appetizers take a little bit of work...but they are so worth it. 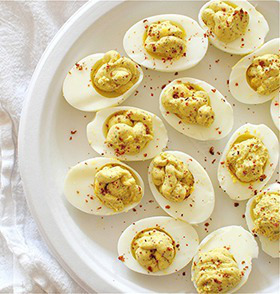 Served with a tasty avocado sauce, they'll disappear as soon as they come out of the pan. 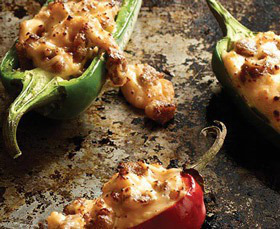 Just stuff jalapeño peppers with savory Jimmy Dean® Pork Sausage and a blend of cheeses for a zesty appetizer that bursts with flavor! 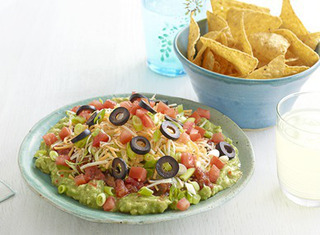 Place both avocado pits in the salsa before refrigerating. 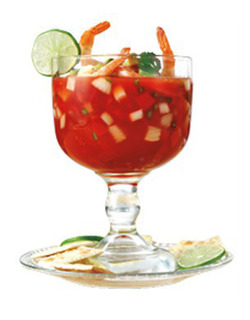 This will help prevent the salsa from turning brown. 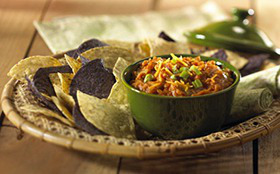 Discard pits before serving the salsa. 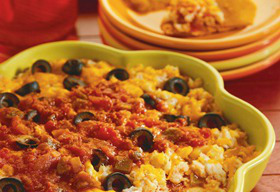 The secret ingredient to this delicious taco dip – chopped Jimmy Dean® Pork Sausage Patties! 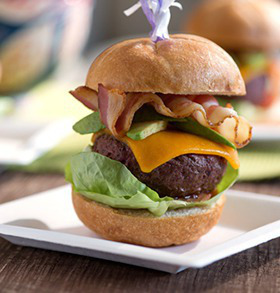 Burgers fit for fingertips and mingling will get party guests talking and coming back for more. 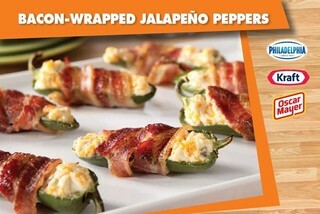 Need an appetizer in a snap? 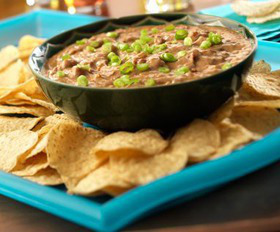 A few ingredients and 7 minutes are all you need to whip up a bean dip that’s bursting with flavor. 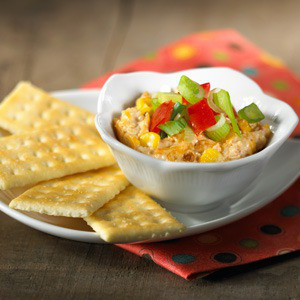 Spicy chili peppers and roasted corn make this warm cheese dip dance in your mouth. 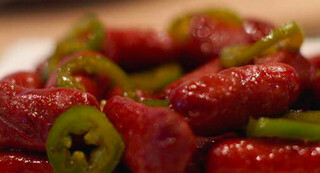 Use hot or sweet sausage, depending on personal preference. Add 1 tbsp of dried red pepper flakes for extra spice. 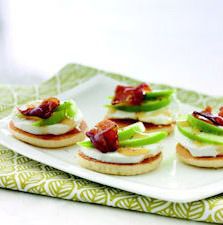 These little pancake appetizers are topped with the upscale flavors of goat cheese, apple and bacon. 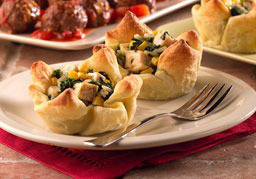 Easy-to-make appetizers feature a spinach, onion, and cheese filling simply rolled up in flaky puff pastry and sliced into pinwheels. 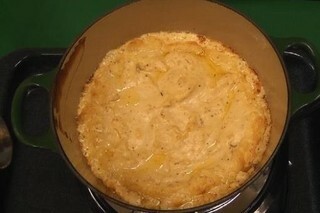 Pumpkin, apples and walnuts. 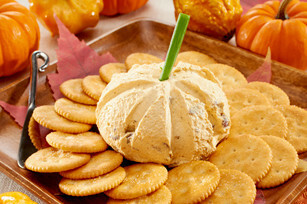 Bring together fall's best flavors in one single starter. 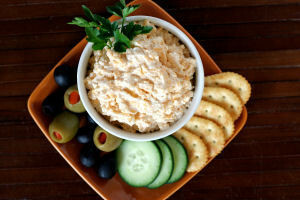 Cheddar and cream cheeses are mixed with crabmeat, olives and picante sauce to make an irresistible hot dip in just 30 minutes! 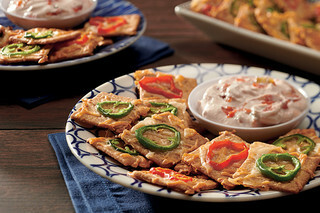 Serve the Basketball Bean Dip recipe in Chinet Classic White™ Plates. 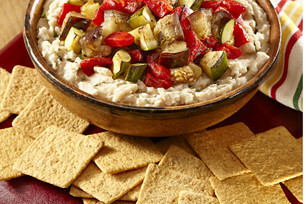 These easy appetizers, featuring fresh veggies and hummus, go together in a snap! Create and Enjoy less time in the kitchen and more time with your family and friends with CURLY’S BBQ that was cooked for hours, yet is ready in minutes for you! 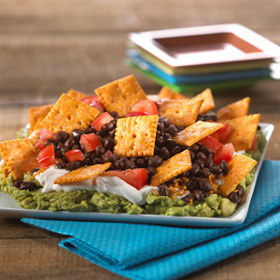 Cheese-topped Spicy Black Bean Veggie Burgers make a hearty topping on these nachos. 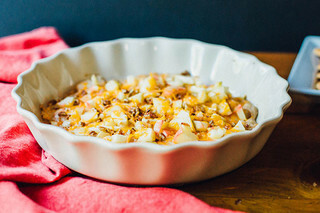 An easy and delicious side dish to brighten your spring table! 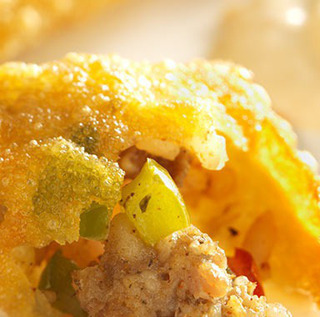 Spice up your dinner party with these tasty New Orleans-style dirty rolls made with Jimmy Dean® Pork Sausage, rice and flavorful Cajun seasoning. 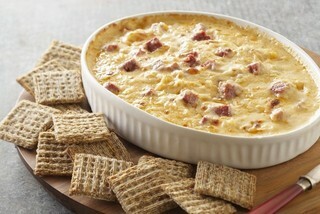 Create this delicious buffalo sausage dip fast with Jimmy Dean® Turkey Sausage Crumbles, cream cheese and hot sauce. 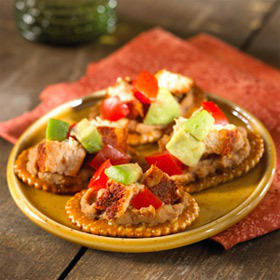 For a real fiesta flavor top these crackers with refried beans and an avocado- and spiced-chicken salad. 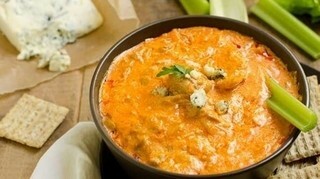 This creamy Buffalo chicken dip gets plenty of zest from 1/2 cup of hot pepper sauce, but if you really love hot-and-spicy foods, increase it to 3/4 cup. 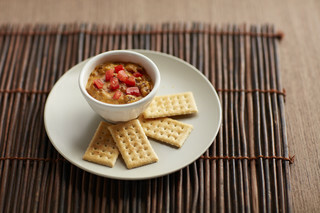 A Delicious Dip From Cheez-It®! 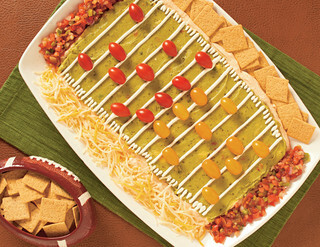 Great for game day or any day, this Southwestern-style, layered dip is a real crowd favorite. 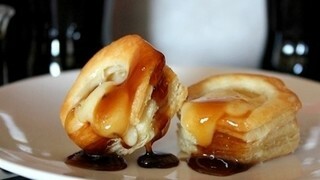 Better make plenty...it will be gone before you know it! 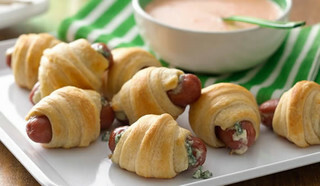 What could be easier--wrap strips of puff pastry around frankfurter halves and bake. 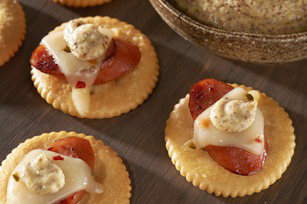 It puts an elegant spin on this all-time favorite appetizer. 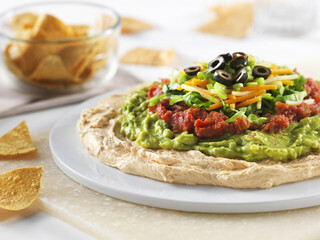 Everyone gets their own serving of this fabulous Southwestern-style dip, featuring refried beans, salsa, avocado, Cheddar cheese, sour cream and cilantro. 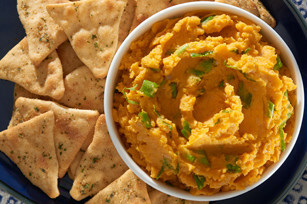 Four simple ingredients add up to one tasty dip. 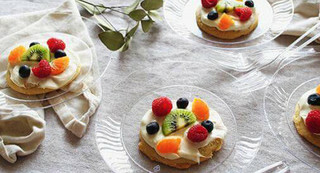 Easy to make and even easier to love. 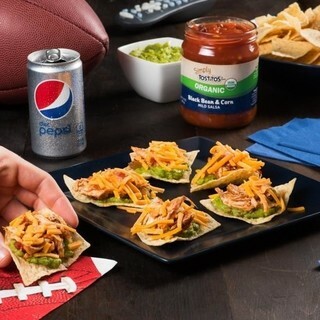 Having friends over to watch a game? 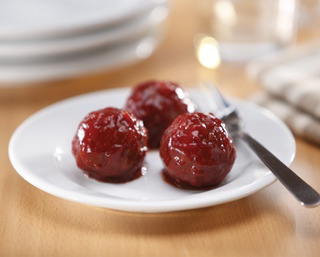 Hosting a dinner? 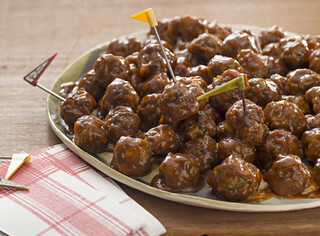 With just three ingredients, Ultimate Party Meatballs are bound to be a hit with your guests. 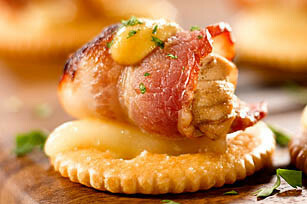 Great appetizer! 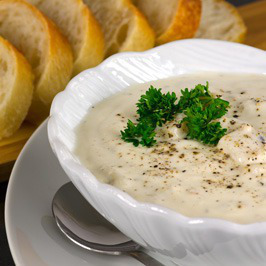 Served warm with a yummy mayo / horseradish sauce. 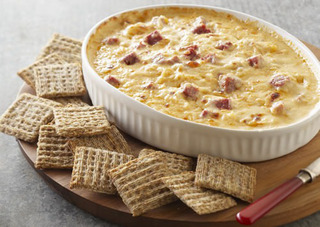 Melty cream cheese, Thousand Island dressing, corned beef, sauerkraut and Swiss cheese combine for all the flavor of the New York deli classic—reimagined as a warm dip. 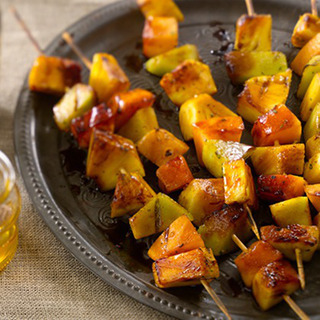 Cool and tasty, this citrus marinade is an ideal recipe for warm summer days. 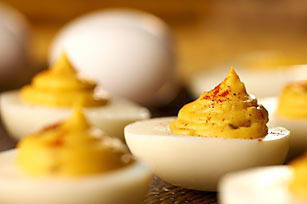 You may want to double the recipe for these Creamy Deviled Eggs. We've found the first batch always goes quickly! Sure, we could have gone with six, but at what cost? 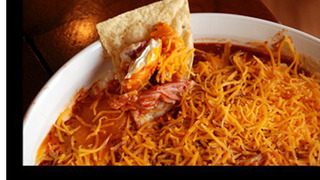 Lose the sour cream, or the zesty salsa, or the melted shredded cheese or….No. Seven layers. 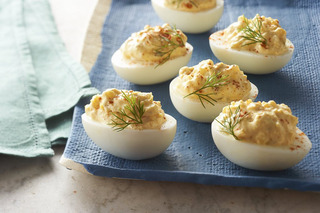 Get a little in each bite. 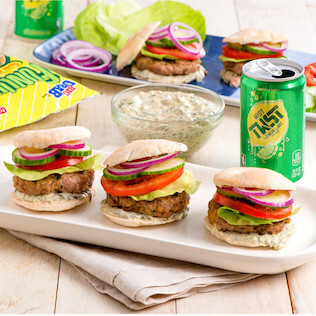 Serve Bacon Avocado Cheeseburger Sliders with Chinet® Classic White™ Square Dinner Plates. 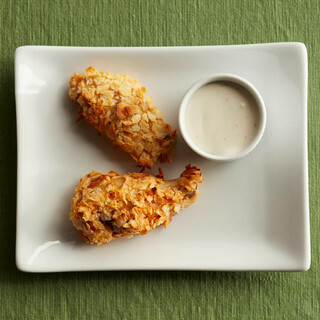 Baked Salmon Croquettes made with Classico® Light Asiago Romano Alfredo Pasta Sauce. 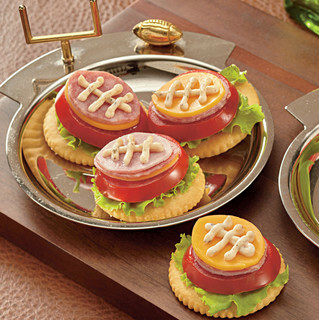 Perfect for Game Day parties. 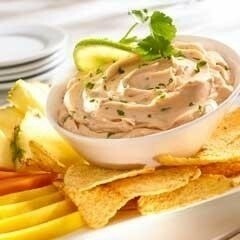 Great snack! 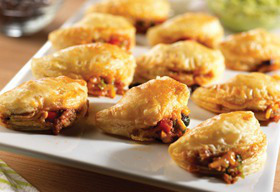 Gather the ingredients for the tasty empanadas and either bake right away or freeze to bake later. 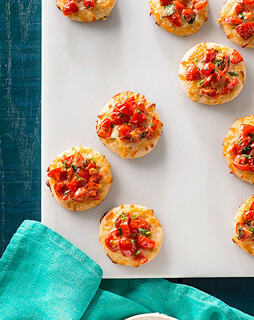 You will love having these appetizers on hand for any occasion. 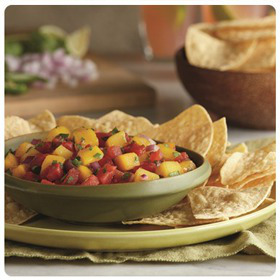 Create your own signature fruit salsa starting with a pantry selection of fruits –Mandarin oranges, peaches, pineapple and/or mango. 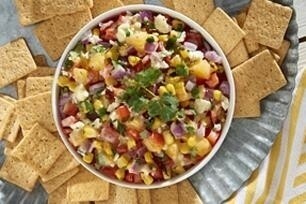 Add petite cut diced tomatoes then spice it up with jalapeno, red onion and cilantro or mint. 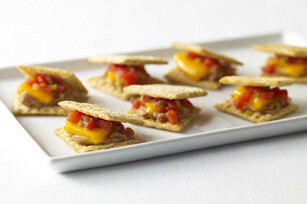 Entertaining has never been easier with these bite-sized appetizer crowd pleasers. 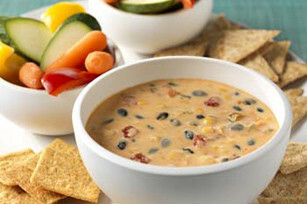 Enjoy Famous Queso Dip if you're looking for a creamy queso recipe. 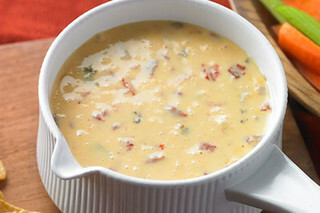 This queso recipe makes for a great appetizer on game day, party day or any day. 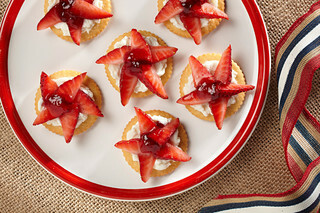 Team salty and team sweet join together to satisfy taste buds in this deliciously fun recipe for RITZ Patriotic Strawberry Stars. 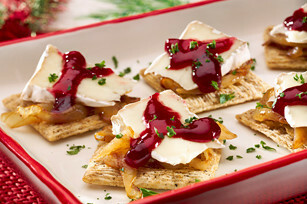 Creamy ricotta cheese, luscious grape jelly, and juicy strawberry slices are layered atop a rich RITZ Cracker. 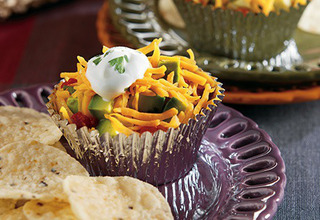 Easy to make and even easier to eat. 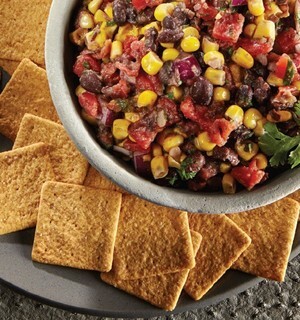 The vibrant combination of sweet yellow corn with zesty salsa is perfect as-is or with any of the optional add-ins. 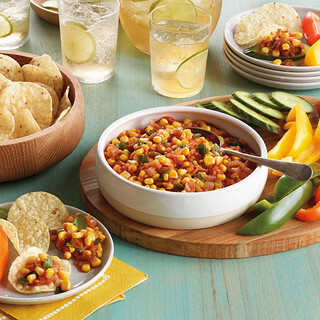 Try pan roasting the corn for a simple flavor twist that will impress friends and family. What's not to love? 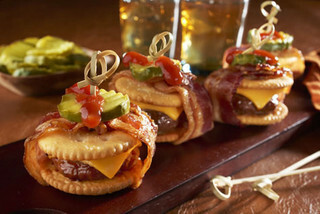 Burger, Bacon & Ritz! 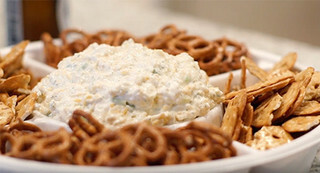 Our sports-bar-worthy appetizer looks complicated, but trust us: These are as easy to make as they are to pop in your mouth. 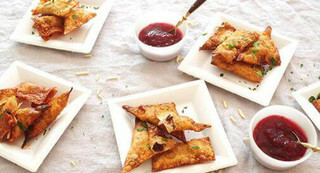 You'll love this spicy, crispy starter. 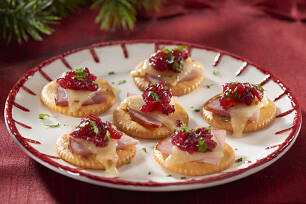 Festive, fun, and flavorful. 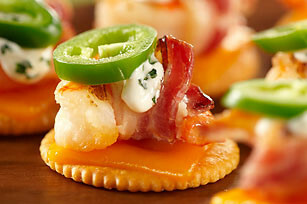 This appetizer is sure to be a hit at any gathering big or small - plus it's fun to make! 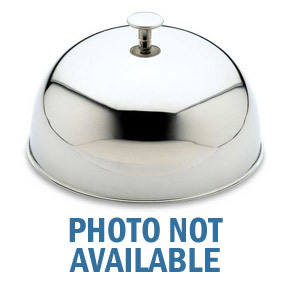 Serve on Chinet Classic White Plates. 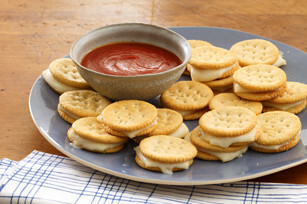 Quick and easy appetizer - serve these melted-cheese sensations straight from the oven! 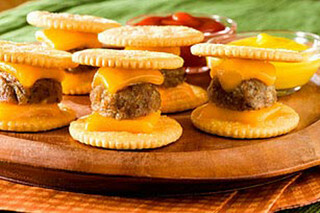 Perfect appetizer for tailgating - or any time - served with Wheat Thins! 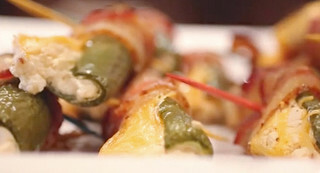 Heat up the game day menu with this easy-to-make jalapeno poppers recipe. 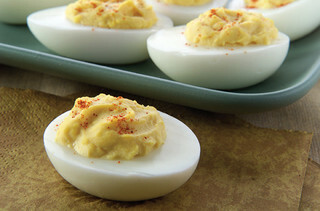 Topped with your favorite Wheat Thin these tasty eggs are sure to delight! Good news! 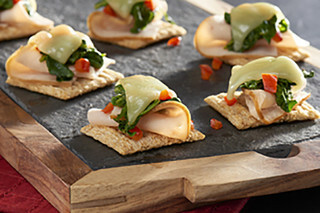 You’ll get 8g of whole grain from the TRISCUIT Original Crackers in each serving of this simple, yet tasty snack. 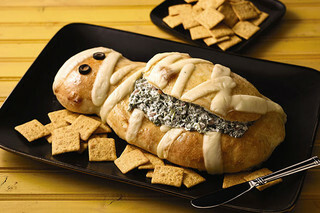 Get scrumptiously spooky with this Halloween Spinach Dip. 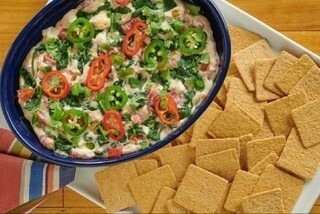 Everyone will love this Halloween spinach dip when you bring it to your next Halloween party! 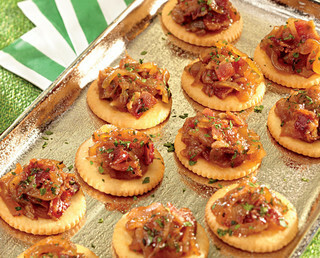 Artichoke & Prosciutto Pull-Apart "Pizza"
Made with TRISCUIT Crackers – vary the toppings – this creative take on pizza is certain to please! 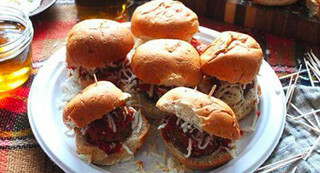 Serve the Meatball Sliders on Chinet Classic White plates. 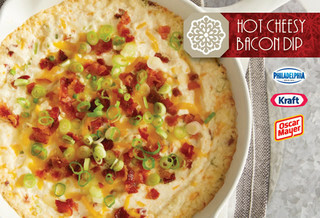 This savory appetizer brings together all of your favorite holiday flavors into one easy-to-make recipe. 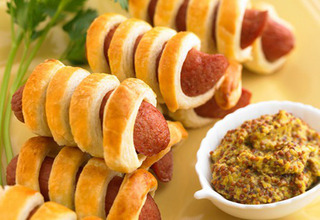 Creamy, spicy and delicious--these buffalo-inspired mini crescent dogs are sure to fly off the table at your next game-day get-together. 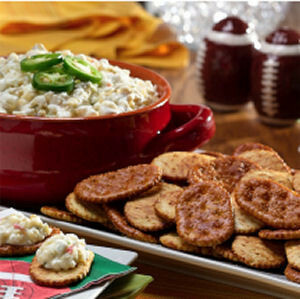 Perfect appetizer for the big games! 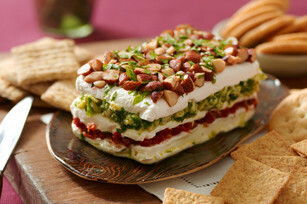 A familiar spinach dip updated with crisp-cooked bacon, sharp cheddar cheese and toasty almonds. 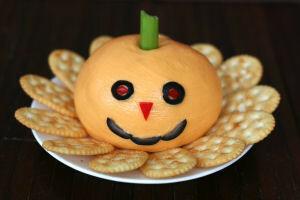 Shape your favorite cheddar cheese spread into a ball and decorate it like a Jack-o-lantern for an easy Halloween treat. 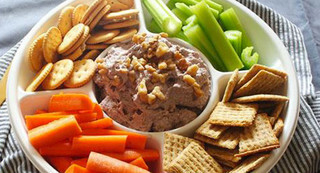 This tasty spread can be a delicious part of your healthful eating plan. 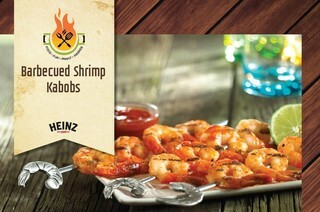 Eating right never tasted so good! 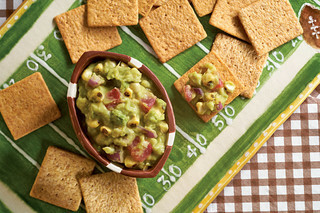 These yummy treats are perfect for after school, game day, or any time snacks! 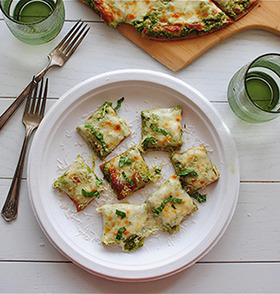 A simple, veggie twist on a classic. 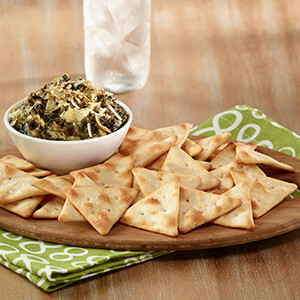 This lively spinach and artichoke dip features cream, mascarpone, mozzarella and Parmesan cheeses enhanced with garlic, Italian seasoning and red pepper. The party dazzler. 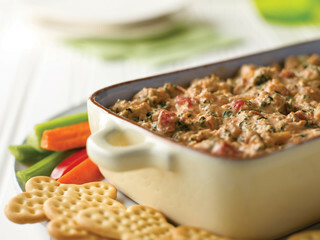 That's you, when you arrive on the scene with roasted red peppers and olives layered with a creamy herb spread. 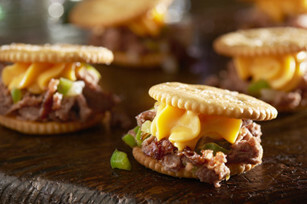 Made with COCA-COLA and COORS LIGHT – amazing flavors on top of a RITZ make this the best pulled pork ever! 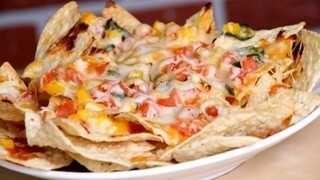 Enjoy delicious Loaded Turkey Nachos in just 25 minutes. 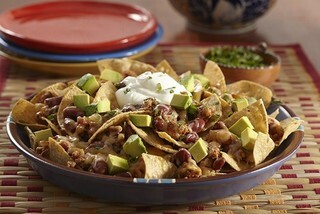 These turkey nachos are piled high with shredded cheese, avocado, sour cream, beans and more. 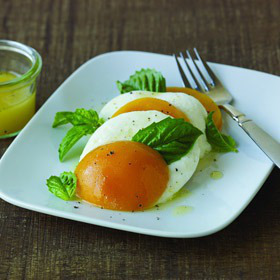 Looking for a fresh take on caprese this summer? 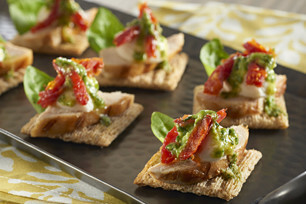 Try our simple recipe for Caprese Pesto Chicken Bites. 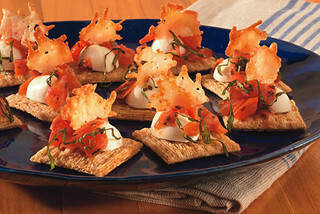 Bursting with rich Italian flavors like basil, tomato, and mozzarella with the perfect crunch of whole grain TRISCUIT Crackers. 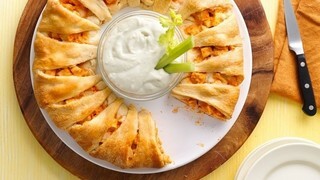 Great for a crowd and is ready in just 10 mins! 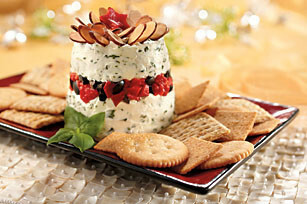 A flattened rectangle of cream cheese is cleverly decorated with olive “stars” and salsa “stripes” to resemble a flag. 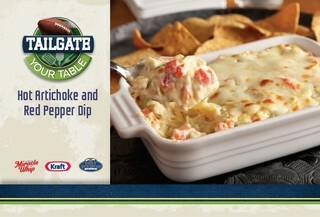 Great for Game Day and Tailgates! 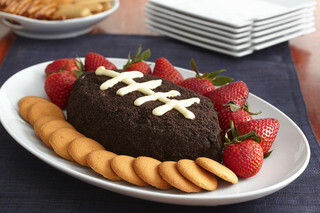 Satisfy gridiron appetites while keeping you in the game, instead of the kitchen. 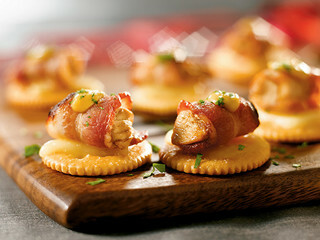 RITZ and COCA-COLA combine flavors with bacon for this amazing appetizer - pure bliss! 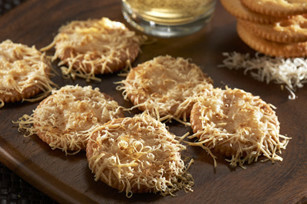 These RITZ Parmesan Crisps are delicious, quick and easy to make, and make for a great appetizer! 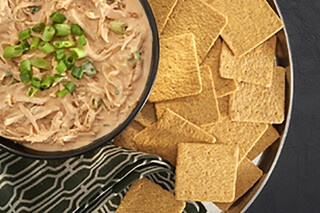 Prepare this slow-cooker chicken dip for your next get-together! 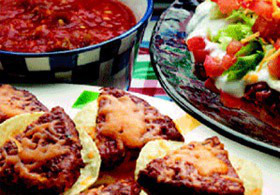 This sweet and spicy recipe tastes amazing with WHEAT THINS. 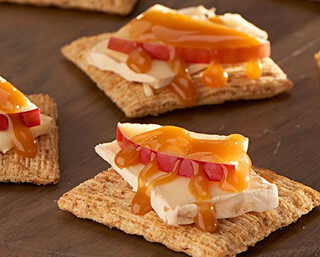 Get in the fall spirit with these Apple, Brie & Caramel Toppers on TRISCUIT crackers! 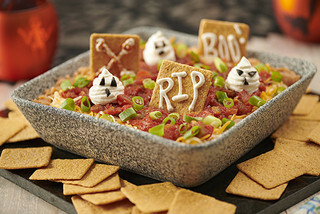 Serve them up at your Halloween or Tailgate party for a savory snack that's scary good! 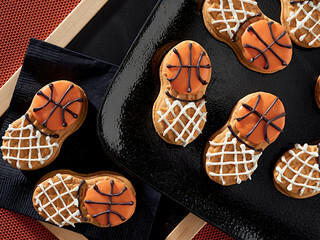 Perfect sweet snack for your March Madness and game day parties! 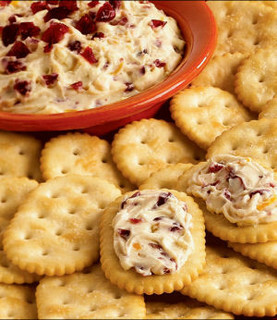 Add this sweet appetizer to your party mix - sure to delight all your fans! 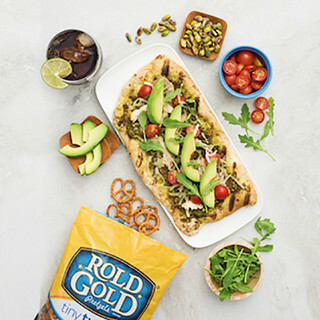 This flavorful fresh grilled flatbread will help get any party started! 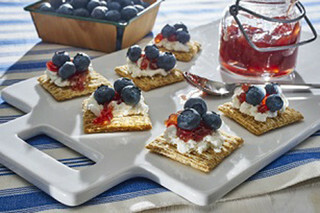 This TRISCUIT Topper combines strawberry jam, goat cheese, and blueberries for an All-American flavor explosion. 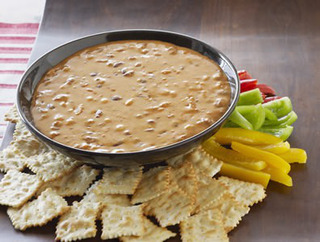 Whip up a no-bake cheesy chili dip in just a little more than 10 minutes if you've got surprise guests. 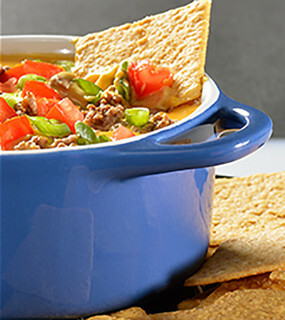 PHILLY Cheesy Chili Dip is great for game day, too. 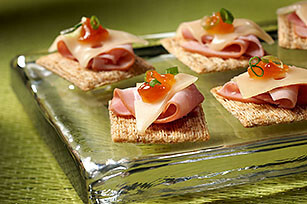 Small plates. 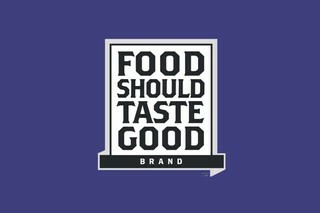 Big taste. 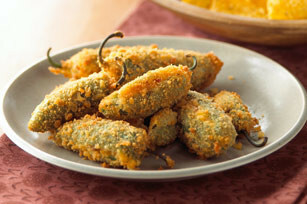 These Shrimp-Jalapeno "Poppers" are HUGE on taste and can be prepped in just ten minutes. 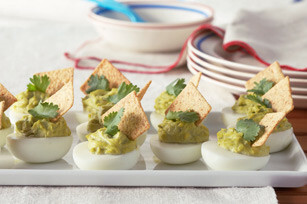 Wow your guests with these amazing appetizers at your next backyard barbecue. 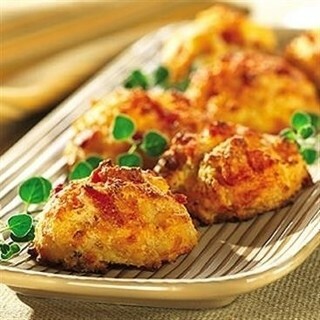 Everyone loves puttin' on the RITZ with these amazing bacon, cheese, and chicken bites! 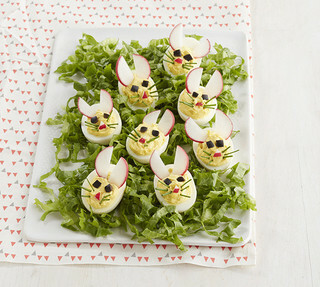 These are as tasty as they are cute – a certain hit for any gathering or a simply perfect snack. 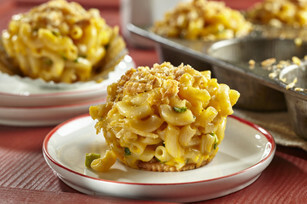 RITZ Bacon Mac & Cheese "Cupcakes"
Fun to serve and delicious to eat - it's a WIN WIN combination! 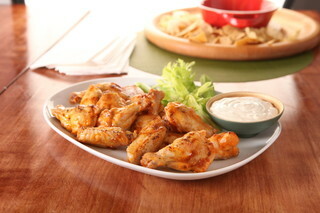 Heat things up with our Hot and Spicy Grilled Chicken Wings. 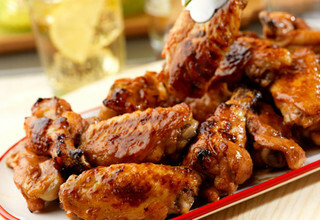 These Hot and Spicy Grilled Chicken Wings include tangy, creamy flavor that you'll love. 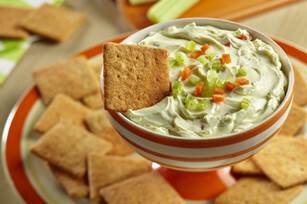 WHEAT THINS Original snacks add 21g of whole grain per serving when served with this smart veggie dip. 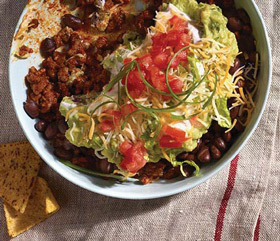 Fresh, bright, sweet and hot – this meal packs everything you love into one taco boat! 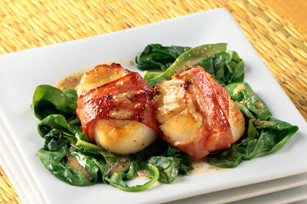 The scallops are wrapped with bacon and drizzled with a savory mustard vinaigrette. 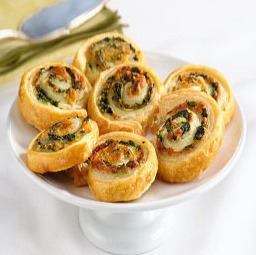 Serve on wilted spinach and enjoy! Scary cute. 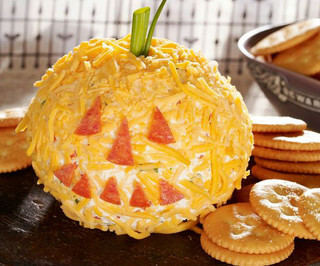 RITZ Cheesy Jack-o'-Lantern Cheese Ball is bursting with flavor. 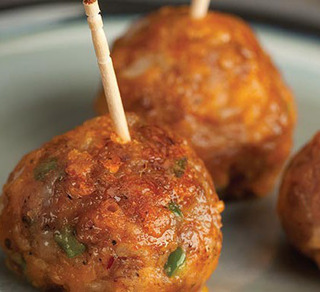 Sweet and spicy, these Honey-Sriracha Chicken Bites disappear fast! 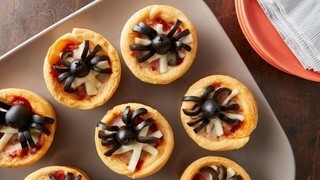 Make these cheesy spider web-topped pizza cups a part of your Halloween dinner or party! 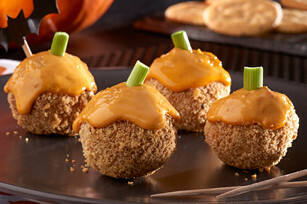 Bring the pumpkin patch to your party with these yummy RITZ Cheesy Potato Bites! 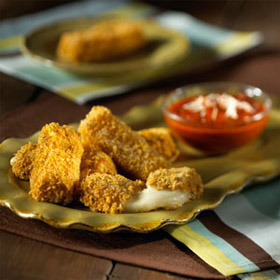 These easy-to-make appetizers are sure to both surprise and delight your guests with the great flavor of fried mozzarella sticks without the frying step! 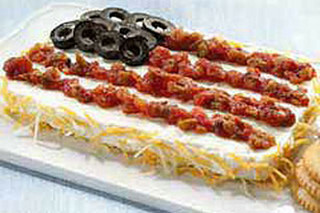 Surprise all the guests at the party with this tasty Taco Salad American Flag Dip. 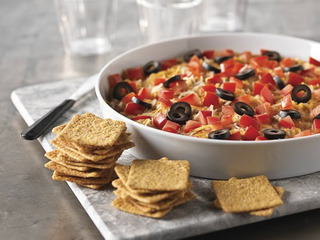 Perfect for Memorial Day and July 4th, this Taco Salad American Flag Dip can be served with tortilla chips or cut assorted mini sweet peppers. 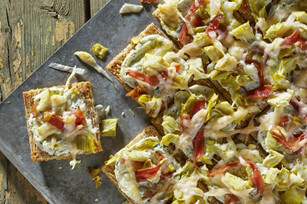 Celebrate spring with every bite of our Spring Vegetable Pizza Appetizer! 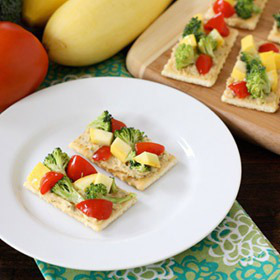 This Healthy Living vegetable pizza appetizer is perfect for potlucks and cookouts. 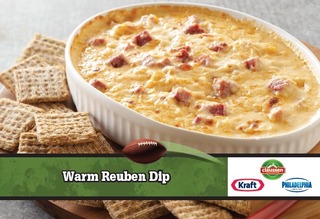 This dip is perfect for Sunday football, tailgate parties, the big game, or really any excuse to make it – it is comfort food at its finest! 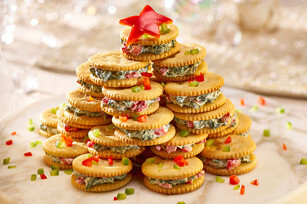 Our homemade version of the holiday classic is studded with colorful flecks of pimento, fresh green pepper and onion. 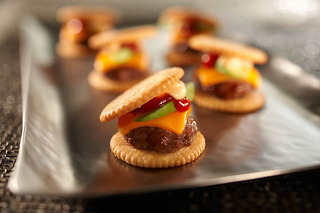 All-Bran® cereal provides a crunchy coating with just a hint of sweetness. It's destined to become a new family tradition. 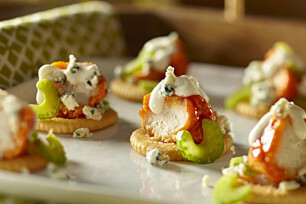 These RITZ cracker buffalo chicken bites are on fire! 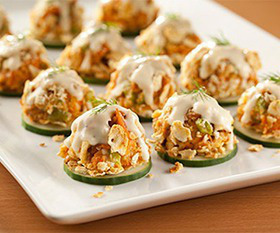 With zesty hot sauce and blue cheese crumbles, they’re a great recipe for your #TeamSpicy game day party appetizers. 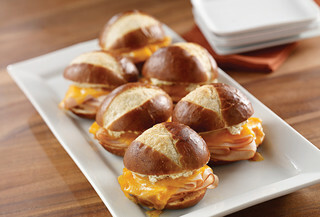 These tasty grilled sliders can be served for dinner or as an appetizer. 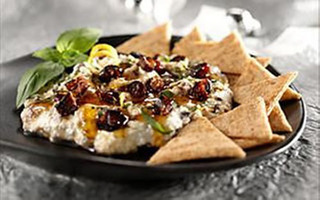 For more Greek flavors, play around with toppings and add feta cheese or black olives. 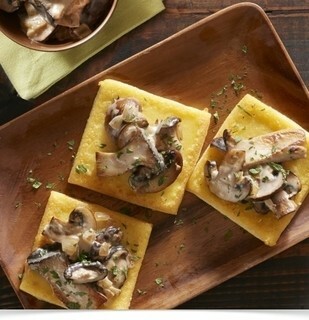 Serve with Mist Twst Lemon Lime. 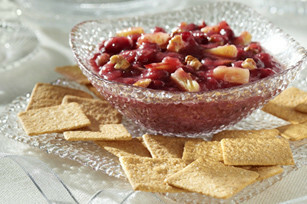 This cranberry salsa twist goes great with Wheat Thins. 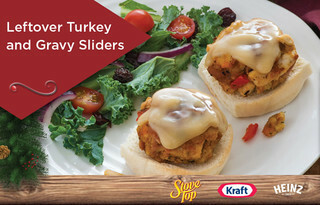 . . and turkey too! 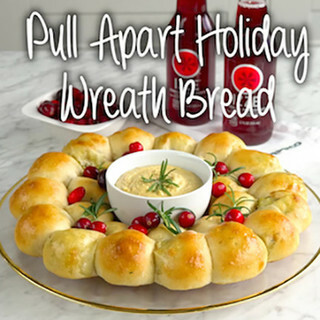 Made with store-bought pizza dough, this impressive and festive bread is easy to prepare. 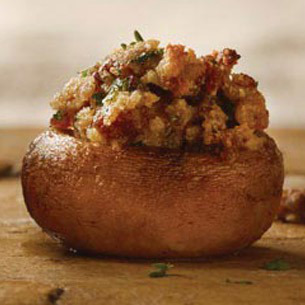 These irresistible stuffed mushrooms are the perfect appetizer to get any party started. 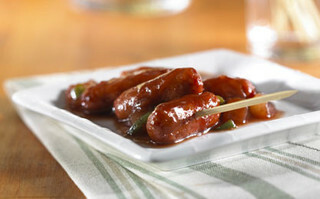 Take one look at the ingredient list for these cheesy pigs in a blanket and you'll see how the sauce gets its name! 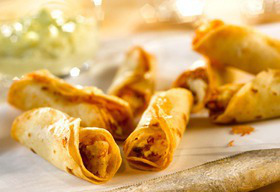 You'll want to keep coming back to Cheesy Pigs in a Blanket with Come-Back Sauce. 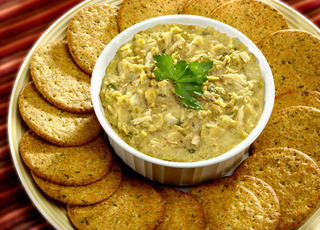 What was life like before this Hot Parmesan-Artichoke Dip was invented? 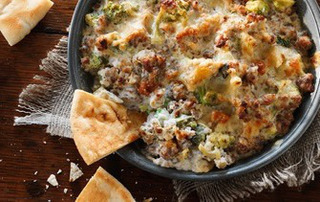 This amazing Hot Parmesan-Artichoke Dip is a cheesy party masterpiece. 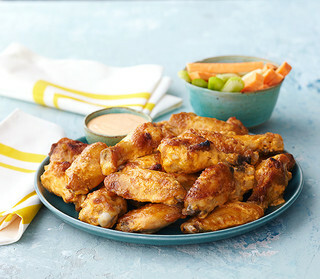 You might think buffalo wings are a dime a dozen — but then again, you haven’t had these wings. 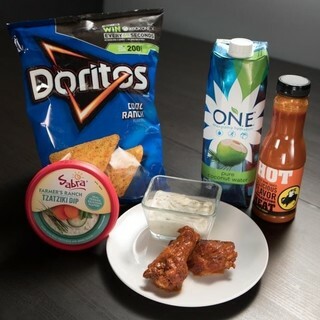 Brined with O.N.E Coconut Water and then coated with Cool Ranch Doritos, these wings layer the flavor in unexpected ways and pack some serious heat. 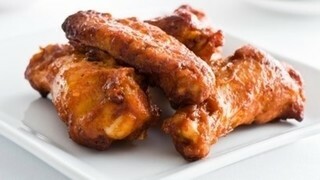 Here’s how to make Nick Mangold’s winning recipe for buffalo wings. 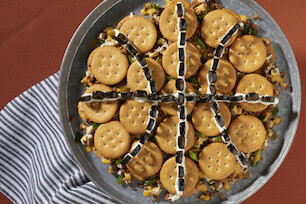 What happens when PHILADELPHIA meets a classic 7-layer Mexican dip? 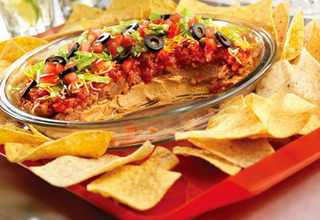 This—a creamy taco dip with smooth cream cheese, guac and salsa. 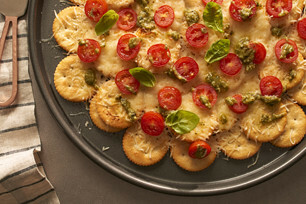 This piquant combination redefines cheese spreads. 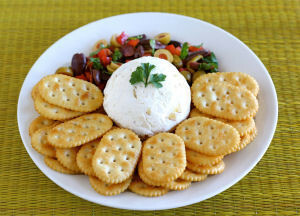 A bed of garlic-infused mixed olives and red bell peppers complements the creamy feta cheese ball. 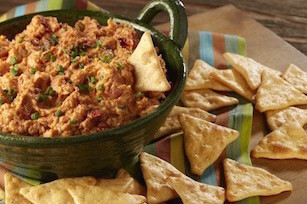 The Layered Sun-Dried Tomato & Artichoke Spread looks complicated to make, but it's not! 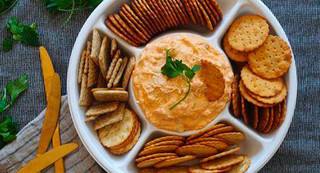 This 10-minute appetizer cheese spread is as easy as 1,2,3 - just follow our simple steps and you'll see for yourself. 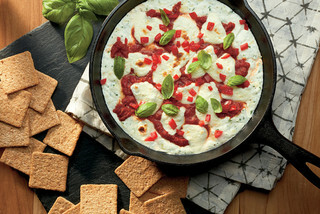 We bet this savory cheese spread becomes one of your favorite make-ahead appetizers. 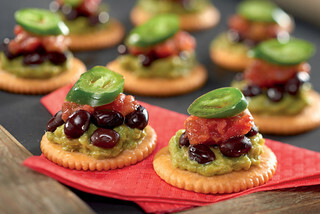 Jalapenos, pineapple and red peppers deliver a totally addicting, complex flavor. Better get these buttery-crisp bundles while they last. 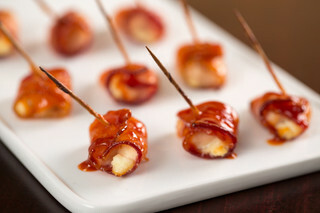 Please the whole crowd with Bacon-Wrapped Buffalo Chicken Bites! 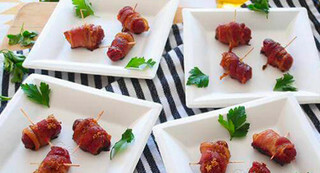 Nothing better on game day than these awesome Bacon-Wrapped Buffalo Chicken Bites. 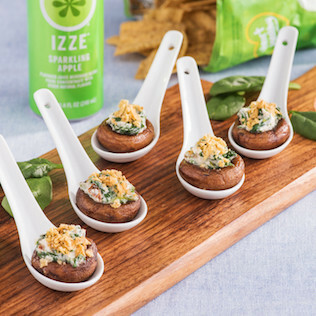 These party-perfect and easy-to-make appetizers will leave your family and friends cheering for more. Put ‘em in, coach! 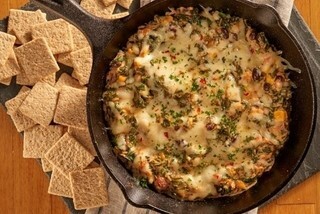 Hearty pub food, like this cheeseburger dip, is a favorite for good reason—it’s warm and delicious. 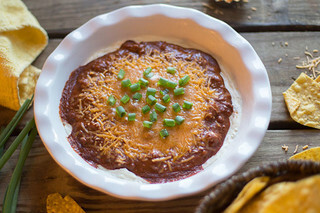 Just toss the ingredients into your slow cooker and it cooks itself. 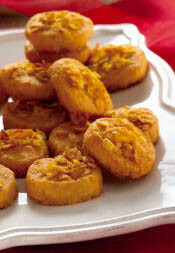 Mouthwatering chimichurri sauce drizzled over Tostones. – Yum! 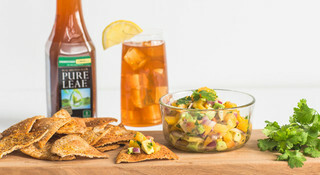 Pair with Pure Leaf Unsweetened Iced Tea with Lemon to add some fresh taste to your table! 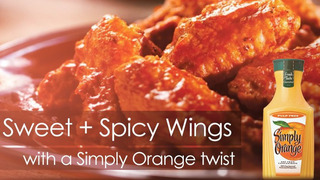 Whip up these delicious Simply Orange Spice Wings and your house will be the go-to game day spot in no time. 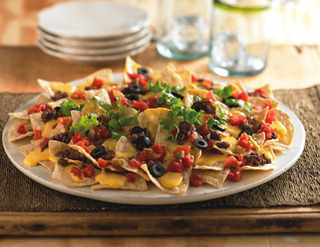 Try something new, and make these delicious Irish Nachos for your next family gathering. 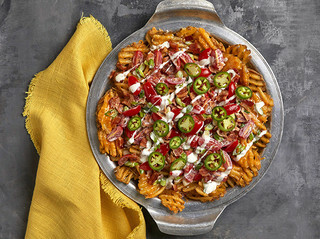 Taking only 20 minutes to prep and 10 minutes to cook, you will be living the life of Riley with these quick and easy Irish Nachos. 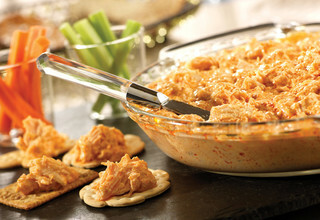 Send sticky chicken wings back to Buffalo & try our tangy, no-mess cream cheese Buffalo chicken dip. 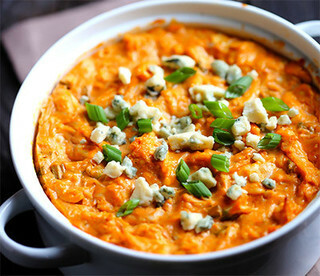 Watch our video for PHILADELPHIA Buffalo Chicken Dip! 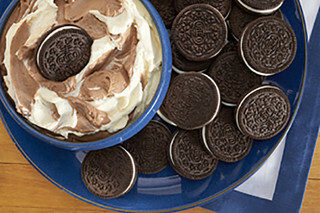 Make game day even sweeter with this Football-Shaped Cookies and Cream Dip. 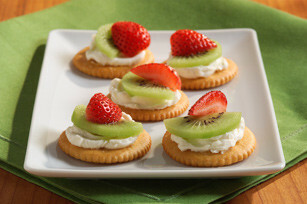 Serve strawberries & vanilla wafers alongside the cookies and cream dip. 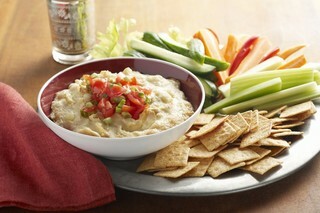 The twin cheese dip is good with raw vegetables, as a spread for cocktail breads or crackers, or even as a sandwich filling. 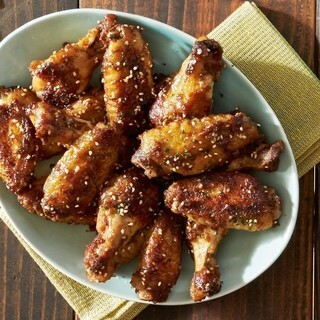 Gear up for the big game with these oven-baked, spicy wings. 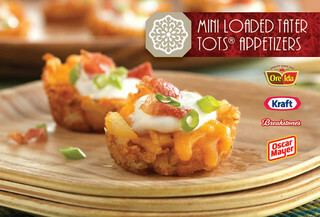 Pringles® Lightly Salted potato crisps add flavor and crunch. 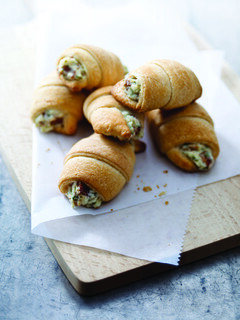 Enjoy a new take on hot appetizers with our Bacon Appetizer Crescents. 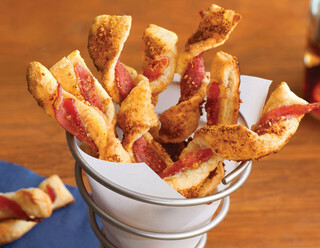 These Bacon Appetizer Crescents will go faster than you can say, "They have bacon." 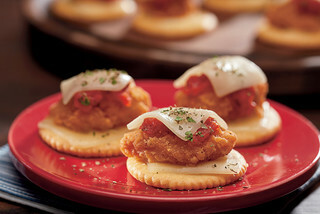 RITZ puts the fiesta into every festivity. 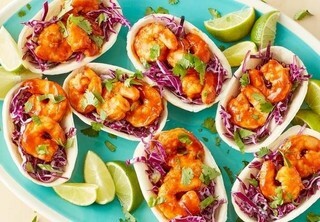 Spice it up! 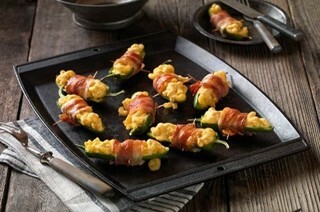 If mac-and-cheese-stuffed jalapeño peppers wrapped in bacon sounds like the stuff of game-day fantasies, let us assure you that they're real—and delish. 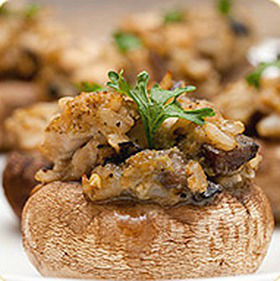 This dish is wonderful if served with a chilled white wine, it adds flavor to every bite. 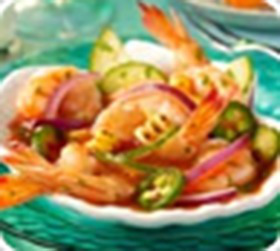 This tongue-tingling spread gets it spirited flavor from luscious shrimp, roasted red peppers, anise-like-flavored tarragon and pungent paprika. 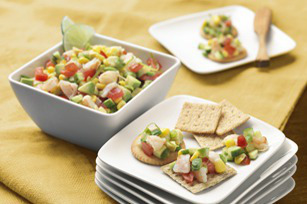 A quick and easy appetizer with a zesty kick! 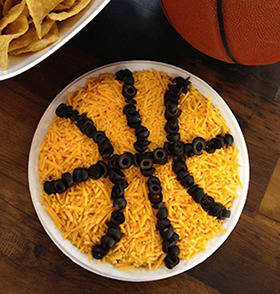 The biggest game of the year calls for everyone's favorite lil' snack. 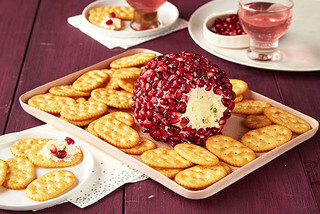 Try something new today with our Savory Pomegranate Cheese Ball recipe. 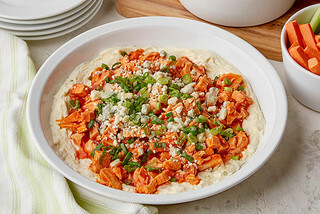 Cheese, pomegranate seeds, and jalapeño peppers make this a unique dish. 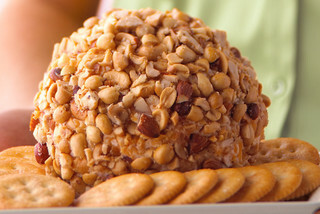 Cheesy, crunchy, and packed with delicious flavors. 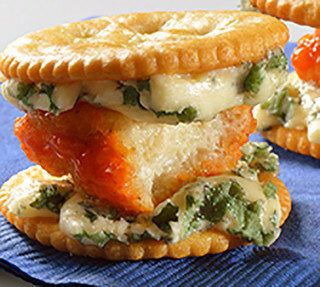 A spicy and creamy combination of jalapeno jelly, cottage cheese, and pepper jack cheese served with Keebler®Town House® Flipsides® crackers. 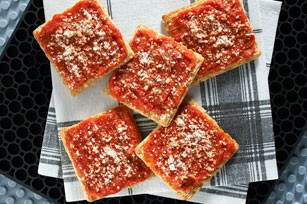 A can of refrigerated pizza crust and a cookie cutter allow you to make mini Margherita-style pizzas that are as easy as they are delicious. 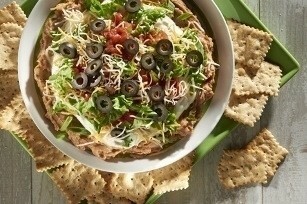 Dip into party time fun with Six-Layer Dip from Kraft Recipes. 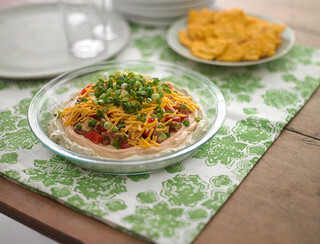 True to the belief that more is merrier, this delicious Six-Layer Dip is a chip's best buddy. 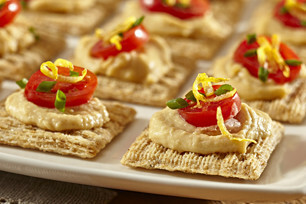 A traditional hummus recipe with garbanzo beans, tahini, lemon juice and olive oil, spiced with garlic, pepper and salt. 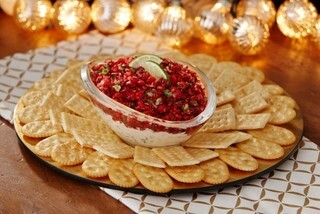 Shimmering cranberry salsa tops the green-onion-enhanced cream cheese layer in this festive spread. 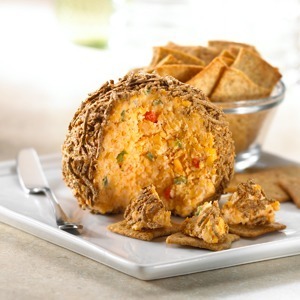 Liven up the appetizer table with a party cheese ball that lets you customize the flavors with mix-and-match abandon. This cheddar already tastes extra sharp. 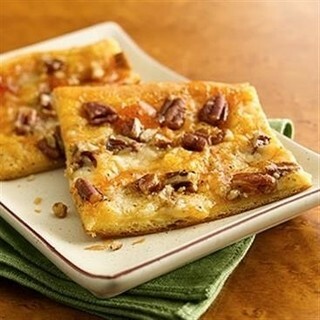 Now make it look that way in just 10 minutes with honey, walnuts and dates. 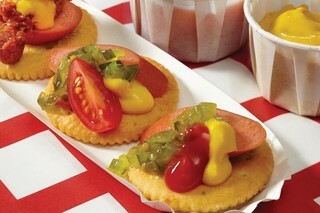 Make your favorite hot dog on a RITZ cracker. 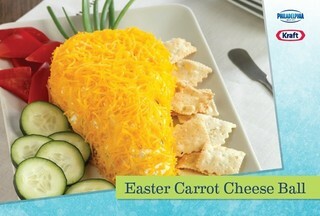 Serve with any three flavors of Annie’s Homegrown Pretzel Bunnies! 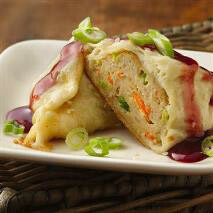 Serve the Thanksgiving Wontons on Chinet Classic White Square Plates. 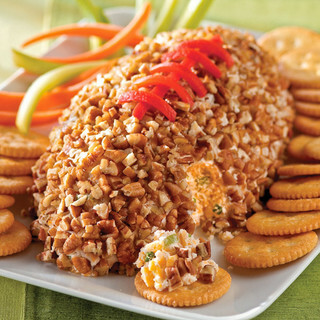 Tackle any Appetite! 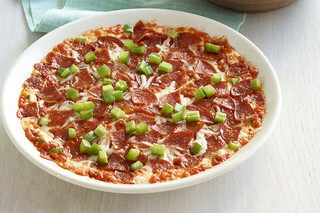 The referees might frown upon it but we're big fans of piling on - the toppings, that is. 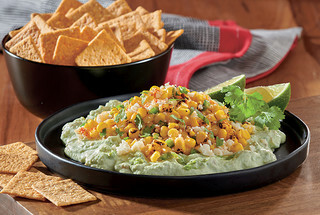 Dig in to this delicious dip! Featuring GNC’s #1 performance protein as the featured ingredient! 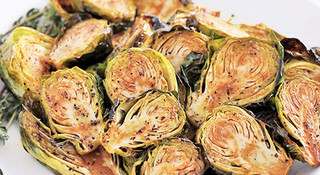 This Brussels Sprouts appetizer is sure to please – and run out quick! 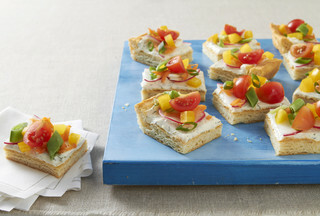 Kids can help put these easy appetizers together. 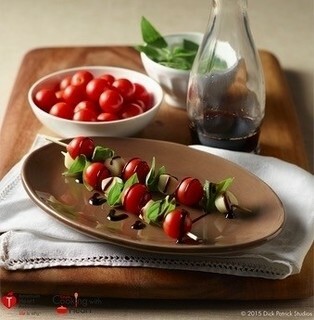 Cherry tomatoes, basil, and creamy mozzarella glazed with a balsamic drizzle. 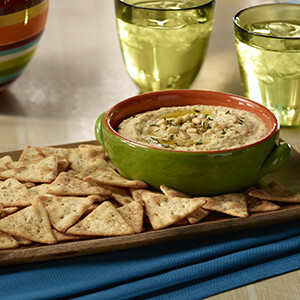 This flavorful dip can be prepared ahead of time. 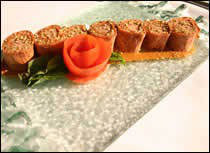 Refrigerate up to 24 hours before serving. 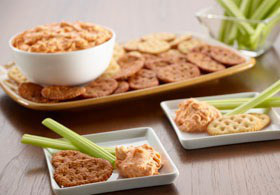 Smucker's® Seedless Red Raspberry Jam and Smucker's® Apricot Preserves make a delicious dipping sauce for these awesome appetizers! 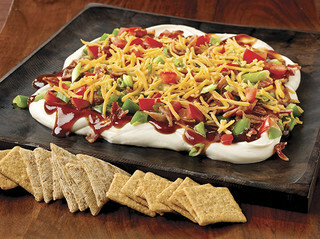 Why wait for the grill to fire up to enjoy BBQ flavor? 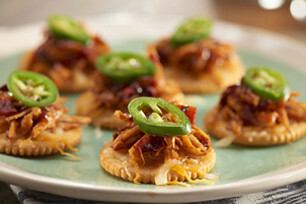 Guests will love snacking on our smokey and spicy BBQ-Chipotle Pulled Chicken Toppers. 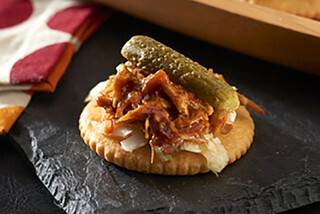 BBQ chicken is smothered with cheese and jalapeno peppers, piled high on a buttery RITZ Cracker. Great for a crowd. 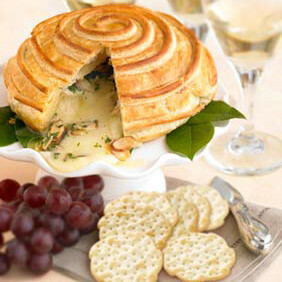 Watch this elegant, sure-to-impress appetizer disappear at your next party as creamy Brie, topped with almonds and parsley, oozes out of its flaky pastry crust. 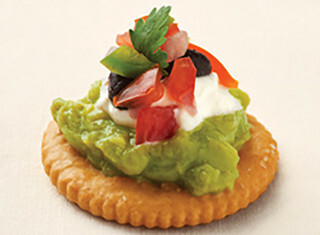 The guacamole and black beans team up to make these simple, yet flavorful, topped crackers a smart choice to include in your balanced diet. 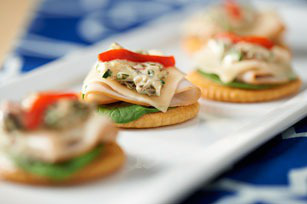 RITZ provides entertaining solutions for all your festivities. 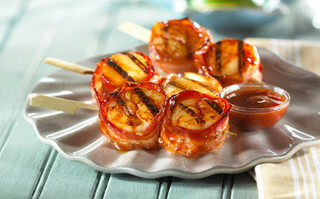 Make with OSCAR MAYER Bacon. 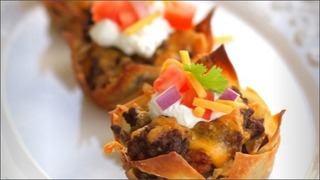 Great appetizers for watching football games! 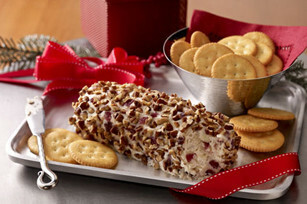 Dried cranberries, pecans and bits of orange peel spike this creamy dip, making it perfect for the holidays. 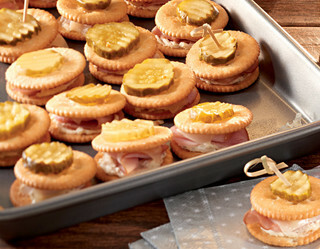 Who brought TRISCUIT Pizza Crackers to the picnic? That's right. We did. 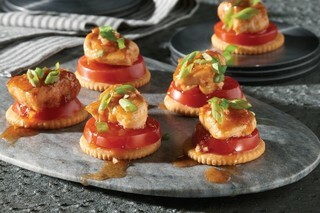 When you really want an appetizer that will impress your guests, this is the one to make. 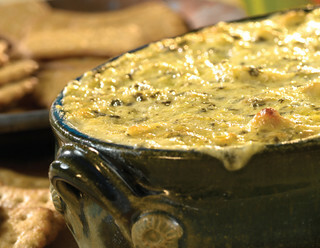 It combines spinach-artichoke spreadable cheese and lump crab meat, that's baked until hot and golden...it's so good! 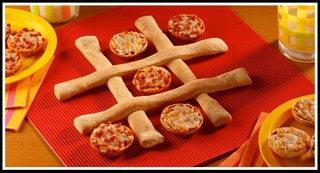 A fun and tasty game! 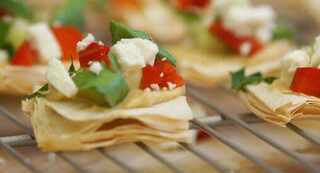 Spicy and buttery, these savory cheese-wafers are a much-loved snack. 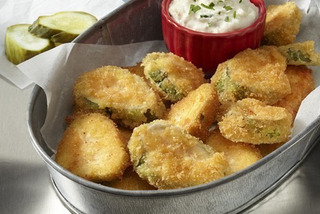 They're perfect for an appetizer buffet or during the big game. 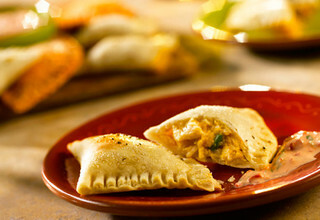 These easy-to-make, baked empanadas are filled with chicken, cheese, corn and salsa. 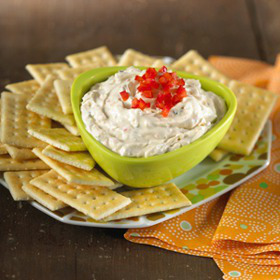 Dipped in this kicked up red pepper dip, they're sure to get the party started! 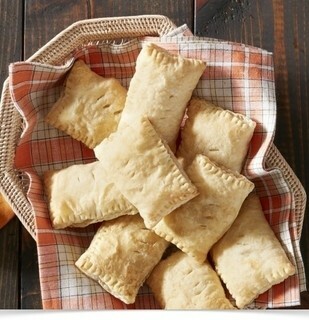 Wow your guests with these puff pastry strips featuring bacon, brown sugar and some kicked-up Parmesan cheese. 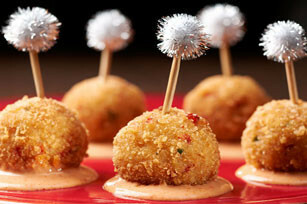 They're distinctive, delicious and sure to be a hit at your party! 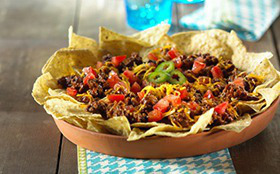 Easy to make and fun to eat, the topping for these kicked up nachos is made on the stovetop. 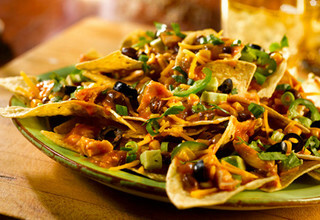 Chicken, corn, beans and chiles...these nachos have it all! 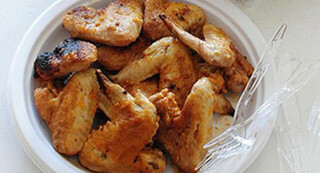 Baked chicken wings with an amazing sweet and savory glaze...yep, they're gorgeous, easy-to-make and so much better than fried. 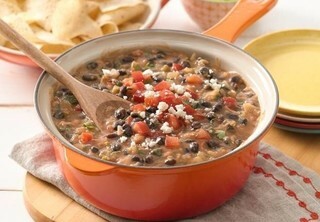 It couldn't be easier...this stovetop salsa dip is a party favorite. 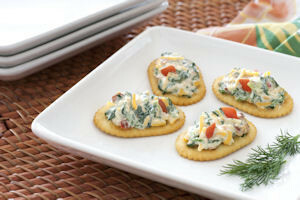 It's loaded with crab and spinach in a creamy salsa sauce. 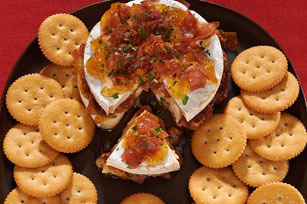 This TRISCUIT Caramelized Onion, Brie & Raspberry topper is stacked with layers of rich flavor – perfect for holiday entertaining! 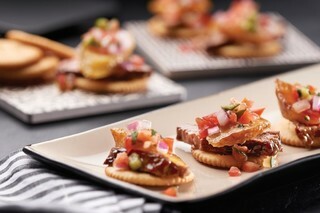 Spicy steak, plantains, and salsa all on a RITZ - amazing! 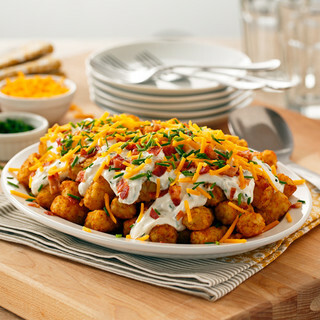 Make your favorite pub food right in your own kitchen—and no need to worry about cleanup when you use non-stick foil. Wow the crowds with this Hot Apple Pie Dip. 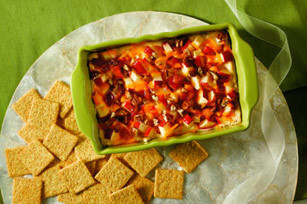 This Hot Apple Pie Dip is just as scrumptious as it sounds, especially with bits of cheddar baked right in! 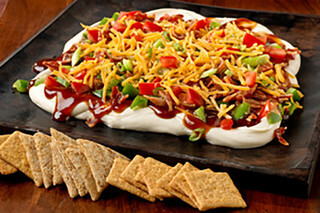 Make it with KRAFT MIRACLE WHIP Dressing. 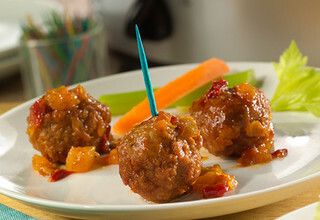 Cocktail meatballs are always a party favorite, but when they’re slow cooked in this fantastic sauce they’re unbelievably good! 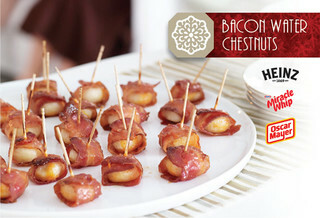 Serve them at your next party and watch how fast they disappear. 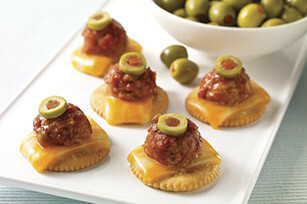 A perfect appetizer for tailgate parties or anytime - these taste so good and are so easy to make!